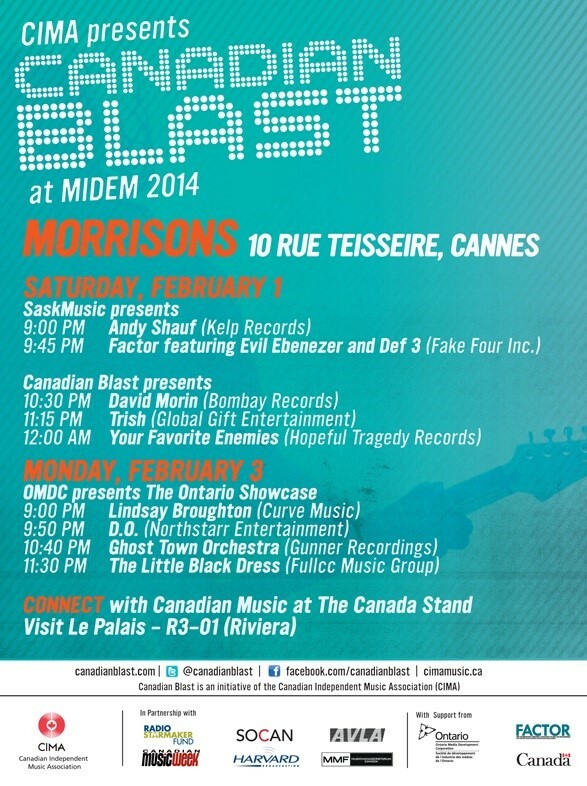 January 10, 2014 – CIMA announces the line-up for the sixth annual Canadian Blast showcase series at MIDEM in Cannes, France. Nine Canadian artists are showcasing at Morrisons (10 rue Teisseire) in the heart of Cannes. For more information or to register with the Canada Stand, please contact Kathy Hahn, Tradeshow Coordinator, CIMA at 416-485-3152, Ext 22 or tradeshows@cimamusic.ca. 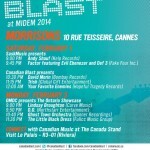 Follow all new developments at canadianblast.com/midem2014. Want to sing along to Lindsay’s new single at her next show but don’t know the words yet? New lyric video below!